The territory of historical and archaeological complex, open-ended Museum-reserve Chersonese. Fragments of the Ancient city, the Central square. Ruins of the ancient city. 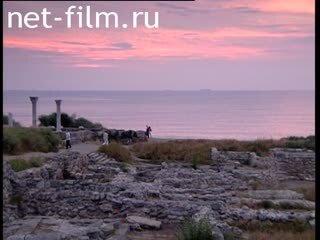 The black sea coast of Chersonesos - circuits through the ancient buildings. Экспозиция музея-заповедника под открытым небом Херсонеса. Крупным планом - улитка на камне. The exhibition under the open sky. Ancient Byzantium. Ancient Greece.